Sorsogon Bishop Arturo M. Bastes, SVD, DD ordained Rev. Ryan Levantino Delmonte a deacon on July 26, memorial of Sts. Joachim and Anne, giving Bicol its second deacon during the Year of the Clergy and Consecrated Persons. Unknown to many, the 35-year old’s personal journey of vocation began in earnest when fatefully, one day, he ran out of money for bus fare. 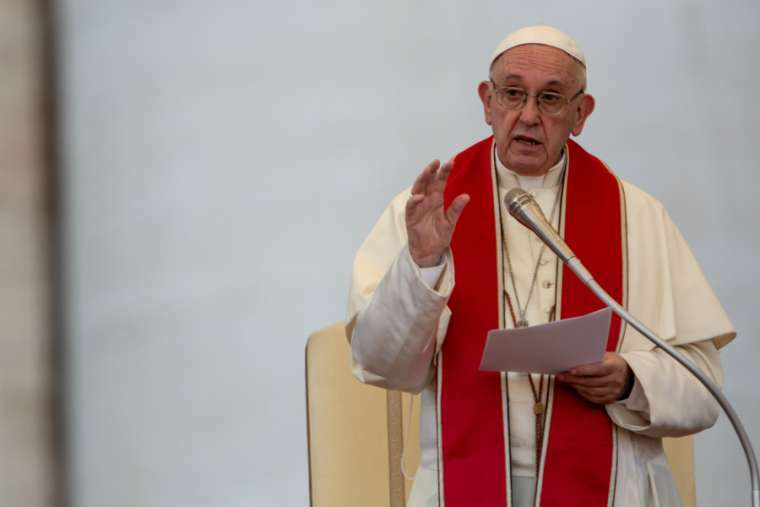 “His vocation story is proof that when God calls, He also finds a way that His call will come to fruition, through people He sends and through ways previously mysterious and henceforth wonderful for us,” said Fr. Philippe Andrew Gallanosa. Hailing from the Parish of St. Anthony of Padua Parish, Juban, Sorsogon, Delmonte was born on Feb. 26, 1983. After his graduation from elementary in 2000, he proceeded to work for his family because they could no longer afford his higher education. By Divine Providence, sometime in 2004, while on vacation from work in Juban, he ran out of money for bus fare back to Manila. Fiscal Arsyl Villaroya suggested to the future deacon to work for the parish instead, since Delmonte used to spend a lot of his time in church. Then Juban parish priest, currently president of the Catholic schools in Sorsogon, Fr. Odine Areola, gave him board and lodging in the parish convent while he served as convent boy and altar server. 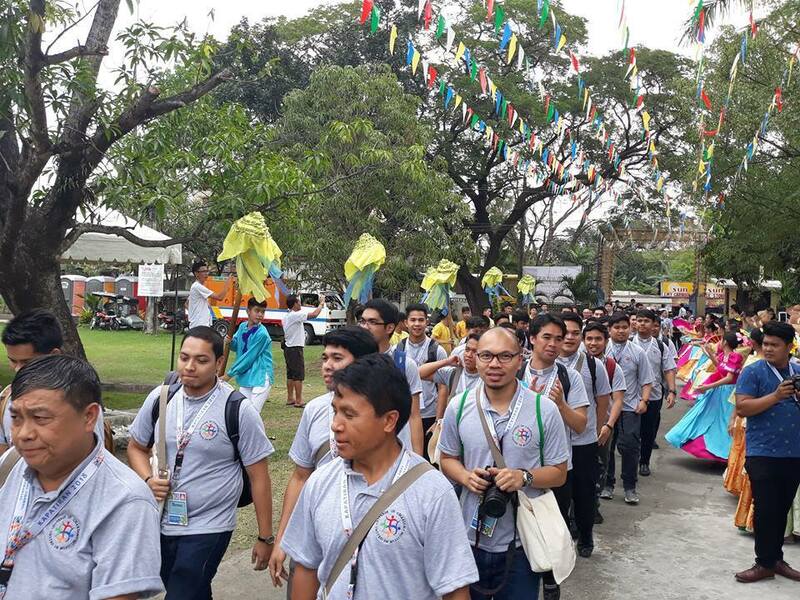 It was Areola, together with Fiscal Villaroya, and the generous parishioners, the Parish Club of 100, of Juban who helped Delmonte graduate from high school at the age of 24, philosophy at the local Our Lady of Peñafrancia Seminary Philosophy Department, and theology at the St. Vincent School of Theology and Adamson University in 2017. 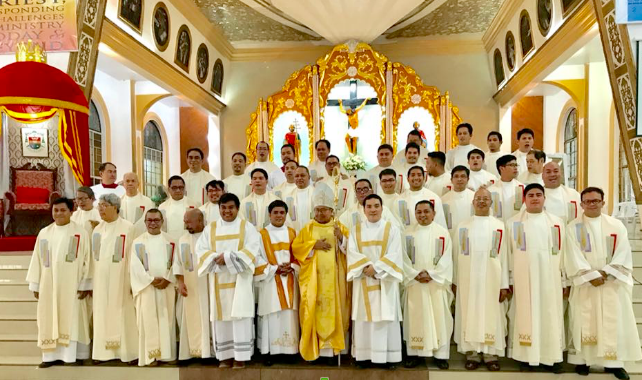 Delmonte is currently Dean of Discipline at his alma mater, the OLPS Philo, and is concurrently assigned as parochial deacon at the adjacent Our Lady of the Annunciation Parish of Bacon District, Sorsogon City.